Left to right: Colten Katz, Jim Katz and Danzey Nickel confer on the coming season in a no-till cornfield on Jim’s farm in Lewis, Kansas. Troublesome weeds are nothing new, but farmers on the western plains of Kansas knew something was changing when kochia became even tougher than normal to manage in 2010. Then, not long afterward, herbicide resistance took the state by storm. Palmer amaranth, marestail and kochia are three of the hardest weeds to manage in the region and have earned Kansas an unwanted distinction. “Kansas is third in the nation, behind California and Illinois, in terms of unique resistant weeds,” says Katz, whose family farm is located in south-central Kansas. While it can take a while for resistance to take hold, there’s no turning back after resistant seeds—spread by birds, wildlife, the movement of farm equipment and other methods—take root. Growers should take a proactive approach to managing resistance and keeping their herbicide programs effective, advises @SyngentaUS. Resistance isn’t just a chemistry issue. In the rice fields of Asia, one weed developed resistance as a result of hand-weeding practices, says Gordon Vail, Ph.D., technical product lead for herbicides at Syngenta. People pulling weeds would skip the barnyardgrass that looked like rice, which allowed the weeds to reproduce. Any sort of weed-management practice, if it’s the only method used year after year, will promote changes in weed populations, Hager says. Despite the intense weed pressure many growers are facing today, low commodity prices can make it tempting to choose the cheapest weed-management option. The good news is that there are ways to mitigate the risk of resistance while managing weeds effectively. “Being proactive is the key,” Parker says. “While resistance is an evolutionary process, we can influence the rate of this process,” Hager says. 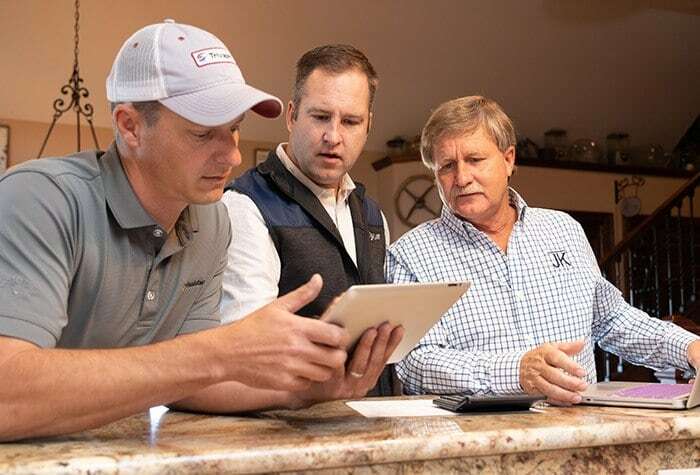 With the Resistance Fighter® program from Syngenta, growers can depend on localized solutions from Syngenta agronomy experts who live and work in their area. The program also offers growers many effective pre-emergence and post-emergence herbicides to help them manage difficult weeds. 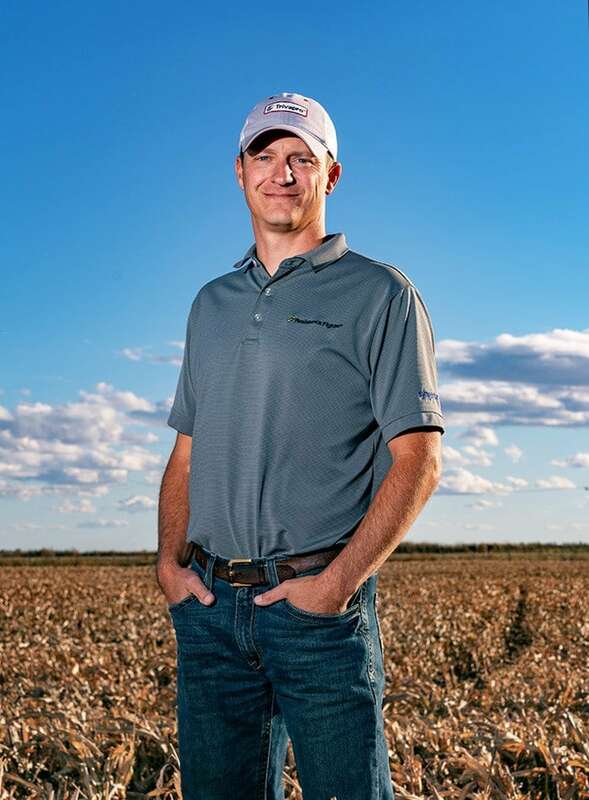 Get Ahead of Weed Resistance: Colten Katz with Turon Mill & Elevator, Inc., in Turon, Kansas, stands in his father’s no-till cornfield following the 2018 harvest. 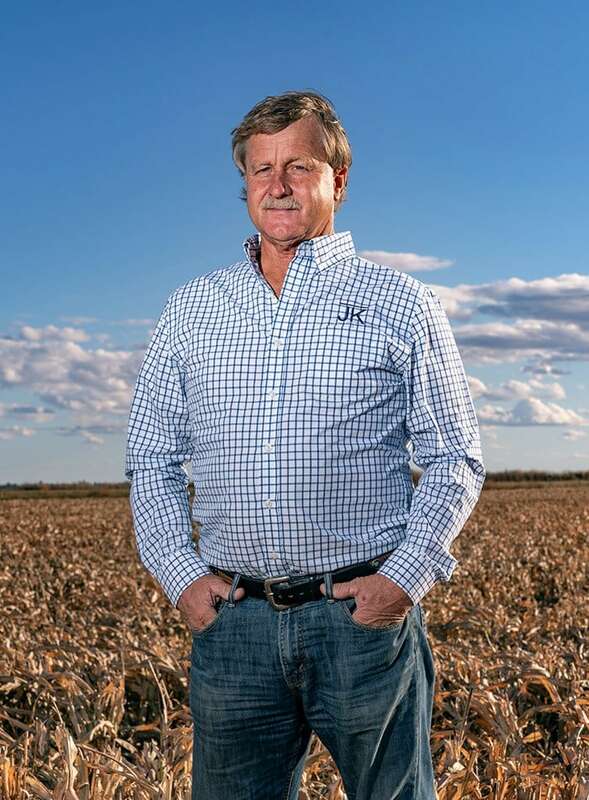 Get Ahead of Weed Resistance: Jim Katz, Colten’s father, stands in the same cornfield on his farm in Lewis, Kansas. 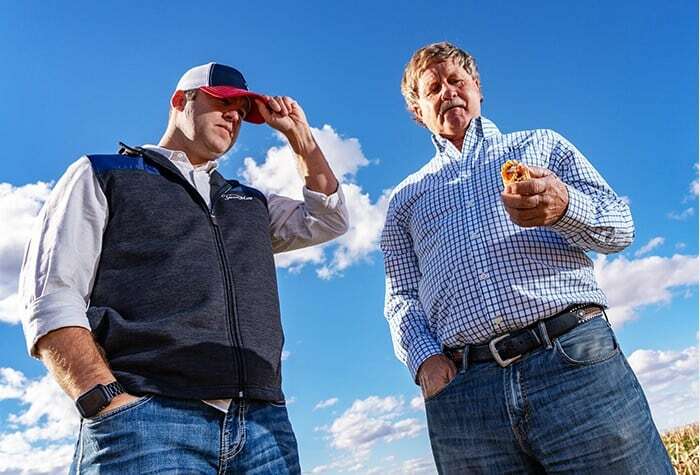 Get Ahead of Weed Resistance: Danzey Nickel with Syngenta visits the Katz farm to help map out the father and son’s weed-management strategy for 2019. 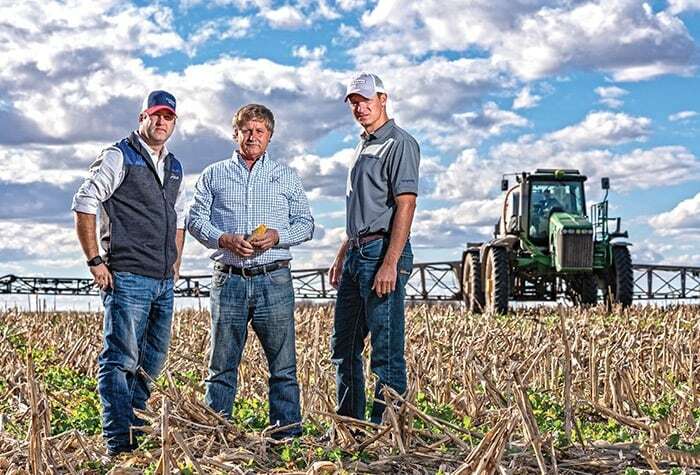 Get Ahead of Weed Resistance: From left to right: Nickel, Colten Katz and Jim Katz understand that a key step in developing the right weed-management strategy is looking at the numbers from the previous season. 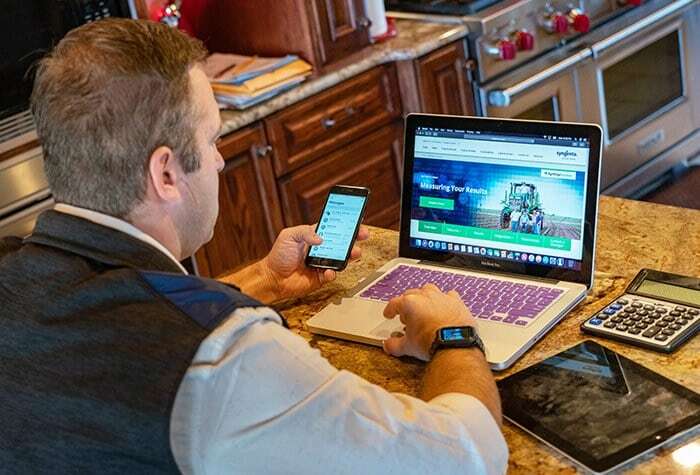 Get Ahead of Weed Resistance: Colten Katz checks out the Syngenta website for additional herbicide information. 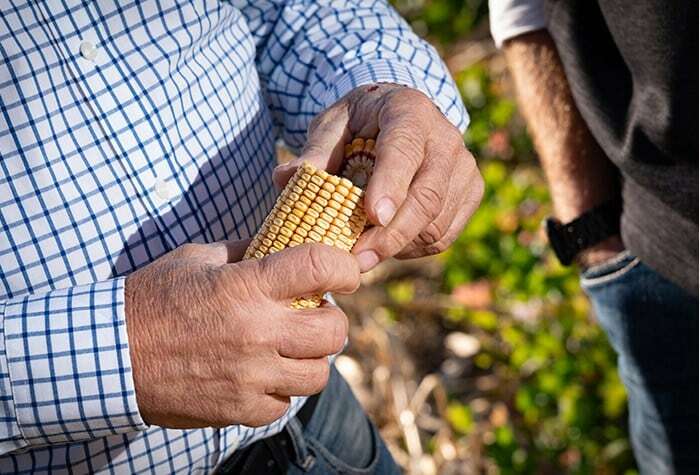 Get Ahead of Weed Resistance: Harvesting healthy ears of corn at the end of the season is the ultimate goal. Get Ahead of Weed Resistance: Colten Katz (left) and Jim Katz (right) inspect an ear of corn postharvest. 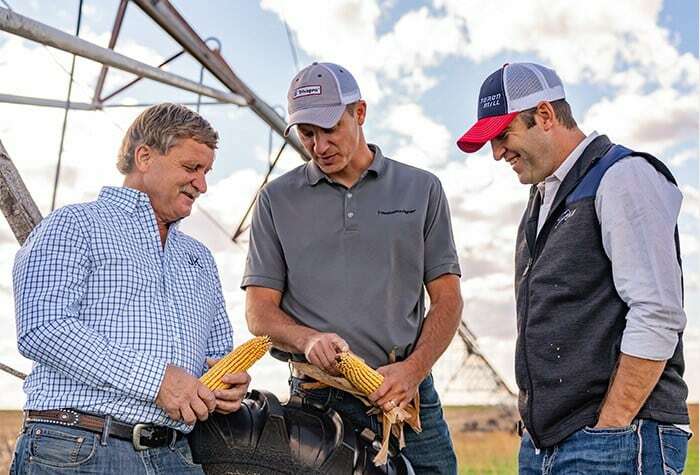 Get Ahead of Weed Resistance: From left to right: Following a successful harvest, Jim Katz, Nickel and Colten Katz take time to enjoy the partnership they have developed. One proven pre-emergence option for soybeans is Boundary® 6.5 EC herbicide, which delivers early-season grass and broadleaf control. It provides two effective sites of action against weeds like waterhemp and Palmer amaranth that are resistant to glyphosate, PPO and ALS inhibitors. Its combination of active ingredients knocks weeds out early with residual control that keeps them down. Another option is BroadAxe® XC herbicide, which provides excellent control of driver weeds like waterhemp and Palmer amaranth, with the addition of Russian thistle, morningglory and kochia—weeds in the upper Midwest that evade most other herbicides. 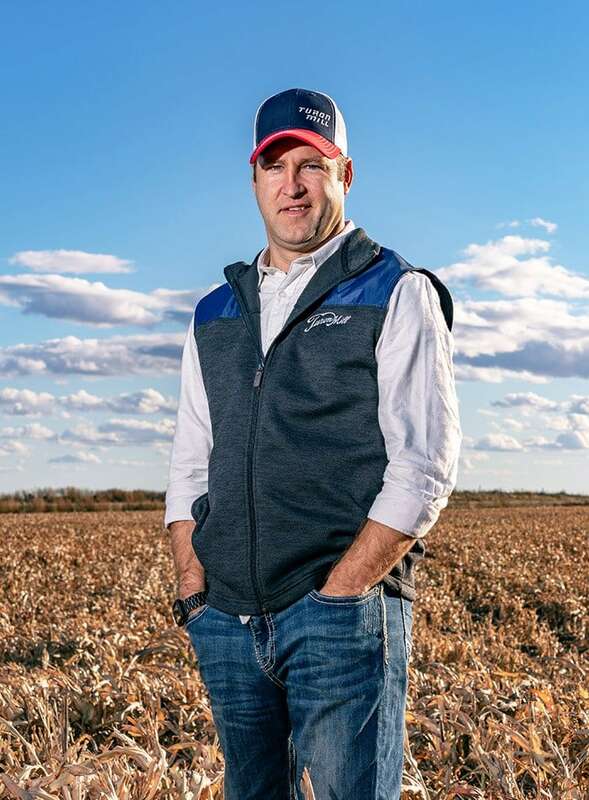 “We’re getting smarter about the weed-management products we use and the application timing,” says Katz, who applies BroadAxe XC around mid-March for early-season weed management and long-lasting residual control. Katz also relies on Prefix® herbicide to manage grass and broadleaf weeds. Application flexibility means growers can apply Prefix either pre-emergence or early post-emergence in soybeans, with residual control that lasts up to five weeks. Prefix also has a tank-mix compatibility profile that enables it to enhance most popular herbicide programs. Proprietary Resistance Fighter modeling from Syngenta shows that residual herbicides—like Boundary 6.5 EC, BroadAxe XC and Prefix—also help maintain the viability of Roundup Ready 2 Xtend® soybeans and dicamba herbicide technology in resistance-management programs. Season-long weed management continues with Flexstar® GT 3.5 herbicide to combat weeds that are difficult to manage with glyphosate alone or resistant to glyphosate and/or ALS-inhibitors. It contains two active ingredients for use in soybeans and cotton. When it comes to weed control in corn, Katz and his father, Jim, who farms near Lewis, Kansas, like Acuron® herbicide from Syngenta. Acuron contains four active ingredients and three effective sites of action for multi-targeted control of giant ragweed, common ragweed, Palmer amaranth, waterhemp, marestail, kochia, cocklebur, morningglory and other weeds.